Congratulations to Charity Grimes, winner of yesterday's contest! Charity correctly identified Boston Corbett as the Person-of-Mystery! Just for the faint of heart, I should warn you, Boston's life is not for those with a week constitution. Read at your own risk. To me, Boston is one of the craziest people in the footnoted pages of American history. He was born in England in 1832 as Thomas Corbett, but at age seven, his family came to America and settled in Troy, New York. As a youngster he took up the occupational profession of a hatter and worked in various locations. He married, but his wife died during delivery of their stillborn daughter. Thomas soon took to drinking and wandered from town to town. While in Boston, Thomas was converted to Christianity by a street preacher and started using the name "Boston" in honor of the town where he found religion. From the start, Boston wasn't normal about his religion. To start with, he decided to imitate Jesus by wearing his red hair very long and growing a beard. He joined a Methodist Episcopal church, but often disturbed the congregants by yelling, "Glory to God!" at loud and inappropriate times. He also had the funny habit of adding "-er" to the end of most words when praying (e.g, "O, Lord-er, hear-er our prayer-er!"). 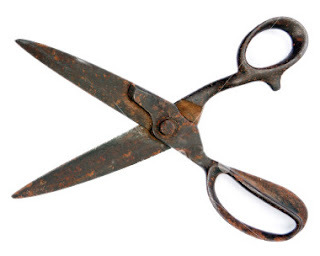 On July 16, 1858, he saw two prostitutes walking down the street. Feeling guilty at his lust for them, he returned home and castrated himself by removing his testes with a pair of scissors. He then attended a prayer meeting, took a walk and had dinner before he went to see a doctor about his then badly swollen, blackened, and bloody scrotal sack. Interestingly enough, we know so much because his medical records survive to this day. Boston then took up preaching along the Boston dockyards and criticizing workers particularly for their use of profanity and getting into fights with them over his sermonizing. At this time, he had trouble holding down a job as he wouldn't work for any employer he didn't consider godly enough or at a workplace where anyone swore for any reason. When he would hear any cursing or talk of alcohol, he would stop working and fall on his knees and long and loudly petition God for the offender's soul. When the Civil War started, Boston lost no time enlisting as a Private in Company I, of the 12th New York Volunteer Militia. Corbett preached a sermon the night before he left where he scared the women in the congregation and told them he would have no mercy on any Southerner and would shoot them all on sight. The Army must have been looking for few good men (indefinite article intentionally omitted) as they took Boston, where he immediately started causing trouble for them too. During a drill of his company in Franklin Square, New York, Colonel Butterfield started cursing his troops over the inexperience of the new recruits. Boston left the formation and walked over to the colonel and said, "Colonel, don't you know you are breaking God's law?" and refused to return to ranks until his officer apologized. When he was taken to the guardhouse for insubordination, Boston began to shout hymns and continued to sing louder anytime he was asked to quit. Colonel Butterfield offered to release him if he'd apologize, but Corbett would not and demanded Butterfield beg God's forgiveness. Eventually Corbett was released without apology on either side as the army needed to move out. Three months later, Boston was on picket duty, when he returned to camp shortly after midnight without his rifle. He announced that his enlistment was for three months and that it had ended at midnight, so he was going home. He was arrested and condemned to death by the firing squad, but eventually his sentence was commuted to discharge from the army. Corbett reenlisted in September 1863 as a Private with Company L of the 16th New York Cavalry. It is interesting to note, that his army buddies from the 16th later wrote of him that every time Boston would shoot a Confederate soldier, he would holler, "Amen! Glory to God!" While pursuing Confederate John S. Mosby's men near Culpepper, Boston and a few others were cut off from the rest of his unit. Mosby's men had captured or killed most of the Yanks, but Boston would not give up. It is said that he held 26 of the Confederates at bay until his ammunition ran out and then started swinging clubs. Mosby was amused by Corbett's tenacity and instead of having him hung, Corbett was sent as a prisoner to the famous Andersonville Prison. 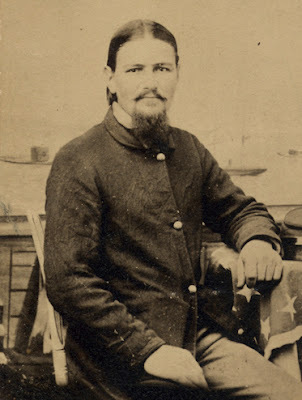 While at Andersonville, he escaped for a short time, but was recaptured by bloodhounds and eventually exchanged for Yankee prisoners (after the war, Corbett would be a witness for the prosecution of Andersonville Captain Henry Wirz). Promoted to Sergeant after his exchange, Boston again found himself in the center of history in the days after President Lincoln was shot. The day after the assassination, Corbett it should be noted was at a prayer meeting loudly beseeching the Almighty that he should be allowed to become God's instrument of wrath in avenging the president's assassination. Selected as one of the 26 cavalrymen from his regiment sent to pursue Booth, they caught up with him at the Virginia farm of Richard Garrett. At the farm, Booth and coconspirator David Herold hid in the barn when the cavalry surrounded them. Herold gave up, but Booth stayed in the barn. After some time, Boston asked his commander if he might enter the barn alone to kill Booth, but his request was refused. The military wanted to take Booth alive. As more time passed and people became nervous, detective Everton Conger set fire to the barn in an attempt to ferret Booth out. In the commotion that followed, Boston Corbett found a large crack in the barn and shot Booth with a Colt revolver from no more than 12 feet. When asked why he killed Booth, Corbett explained, "God Almighty directed me." Corbett was arrested for disobeying orders, but charges were dropped by Secretary of War Edwin Stanton. Corbett received his share of the reward money, which came to $1,653.85, and he became a temporary celebrity. People paid money with the intent to hear Boston talk about that night, but Boston in typical fashion would harangue the audience with talk about God instead. Quickly people soon lost interest in Corbett. Corbett returned to making hats and preaching and moved between Boston, Connecticut, and New Jersey. For a time, he even served as head pastor of a church in Camden, New Jersey. However, during this time, Boston became increasingly paranoid, displayed a quick temper, and believed that people were out to get him and do him harm and he started threatening people who asked him for his autograph. Corbett slept with a loaded pistol under his pillow and was said to be afeared of Booth's ghost. Then in 1875, while attending a GAR event in Caldwell, Ohio, Boston overheard some guys saying that they didn't believe that Corbett had even killed Booth. 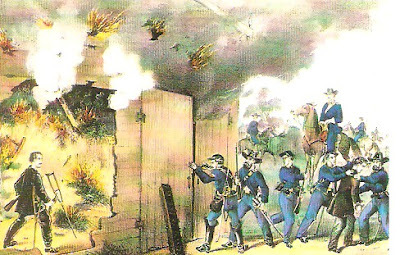 Enraged, Boston pulled his pistol on the men and threatened the men with their lives. This event somewhat soured the public on Corbett. Seeking isolation, Boston applied for a claim on 80 acres about seven miles outside Concordia, Kansas, where he moved and lived a private existence under his own name. The town folk invited him to give a talk on Andersonville and Booth and Corbett accepted. Although when the town people came to the lecture, Boston in characteristic fashion gave a fire and brimstone sermon on the need for repentance. Although living under his own name, he became reclusive and never built a home, instead digging himself a hole in the ground where he lived. He had little contact with others and primarily came out at night. One neighbor recalled paying Corbett a social visit and it ended soon after having him show her a grave he had dug for himself and the blanket in which he wished to be buried (he was only in his 40s at the time). Not too long thereafter, Boston was driving his buckboard and reading scripture one morning when he spied some boys playing baseball. Corbett leaped from his wagon and ran at the boys, pistol drawn. He screamed at them to stop the profane game on the Sabbath and yelled, "It's wicked to play baseball on the Lord's Day!" The next day, Corbett was summoned to appear before Concordia's court to stand trial for endangering the boys. Many in the town turned out for the entertainment. Boston at first appeared calm, but as the witnesses came forward, he again became agitated and stared yelling denials and pointed his pistol at witnesses. Panic ensued as people scrambled for the exits. Eventually Corbett was calmed and released the trial dismissed for fear of more violence. After the baseball incident, a resident of Concordia who felt sympathy for the deranged Corbett, set him up with a job as a doorkeeper at the Kansas State Legislature in Topeka. However, a month into his new job, on February 15, 1887, Corbett overheard some legislative pages making what he thought were irreverent remarks at the Capitol. He again pulled his pistol and chased them through the hallways raving and sending the state lawmakers scrambling. He was finally subdued by guards and after examination, pronounced insane and sent to the Kansas State Asylum. Corbett was said to be getting worse, having hallucinations and fears that assassins were hiding seeking to take his life. One month in, he stole a knife and assaulted a worker in a failed escape attempt. Finally, on May 26, 1888, he spotted an unattended horse and was able to make this escape good. 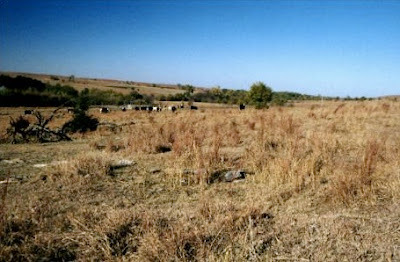 A short man hunt ensued, but he was only tracked to Neodesha, Kansas, where the now fugitive Corbett hid for a few days in an old friend's barn. There he was given a new horse, money and a blanket and told to never return. Boston agreed and told his friend he intended to go to Mexico. 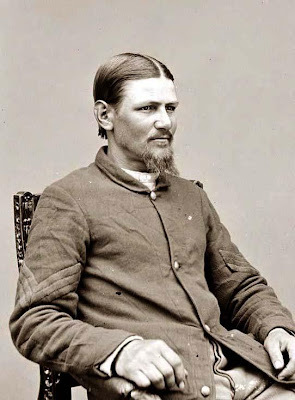 June 1, 1888, was the last the world heard from Boston Corbett. Some say he made it to Mexico, others say he became a traveling salesman in Oklahoma and Texas, still others say he moved to Hinckley, Minnesota (where he may have perished in the fire of 1894). The jury is still out on this one (which is probably good, since I'm sure Boston would again pull his pistol and threaten everyone in the room). Can I get an Amen-er! Thank you for the great history lesson. This kind of history wasn't taught when I was in high school! Very interesting. The term Mad Hatter is grounded in fact. The chemicals they used in those days often caused the 'hatter' to go insane. Boston may have been a victim of his profession. One crazy person for sure. Interesting as I never knew of him before this. Thanks for the great description of a truly Mad Hatter! My wife is a relative of Booth. The family changed the spelling of their name by adding an "E" to Booth to distance themselves from John Wilkes. I had saved a picture of Boston about a month ago, but missed my chance to identify on your site. Thanks for posting. Very interesting Nate. Small wonder that you teach. Your class must be a joy.